I made these cupcakes for my brother's graduation in June this year. 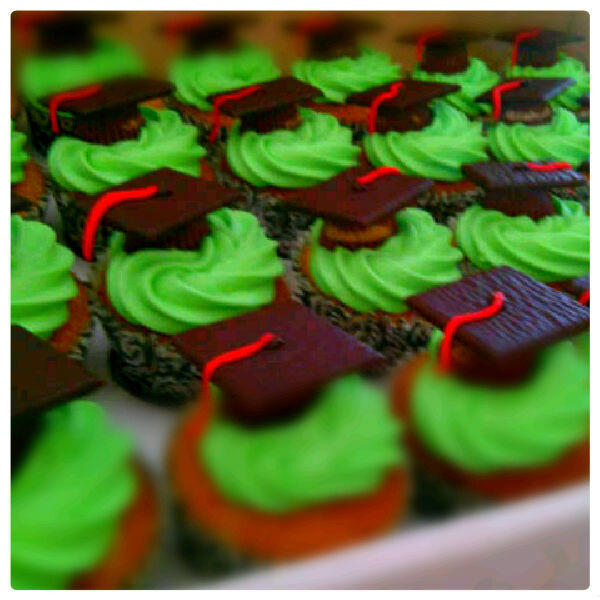 The cupcakes themselves are standard vanilla with vanilla buttercream frosting (coloured green as this was the colour of the trim on his graduation gown). The little caps are made from mini Reese's Peanut Butter Cups turned upside down with After Eight chocolates on top. I bought some ready made icing in a tube to stick the two together and also used it to stick the tassels to the top of the caps (tassels are made from Regal Icing rolled into strips).